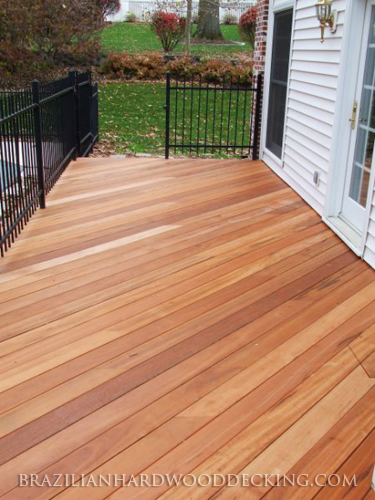 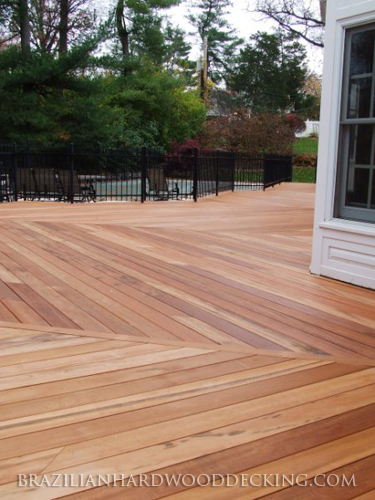 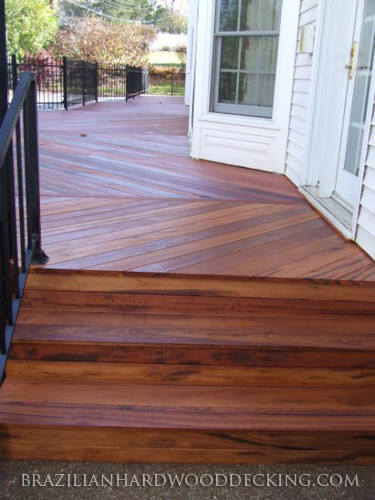 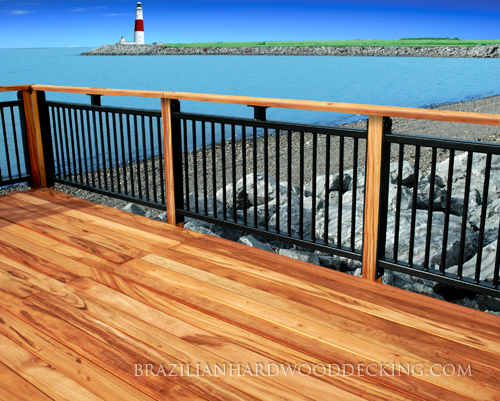 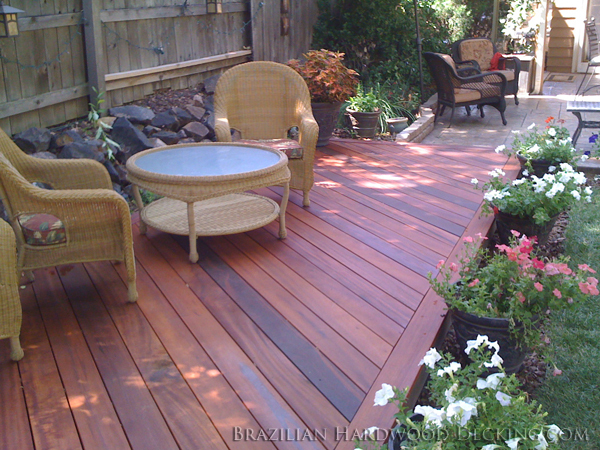 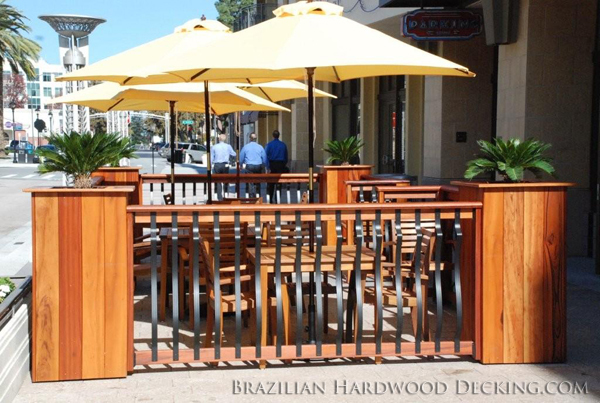 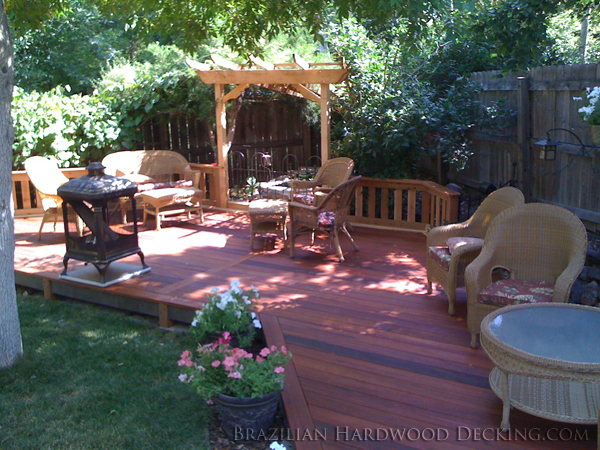 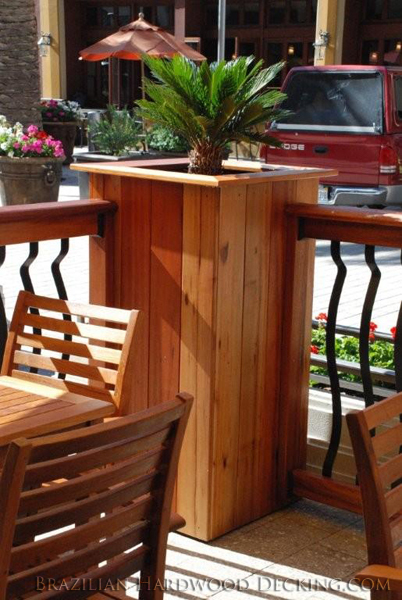 Some of the finest decks use our supply of Brazilian Tigerwood decking. 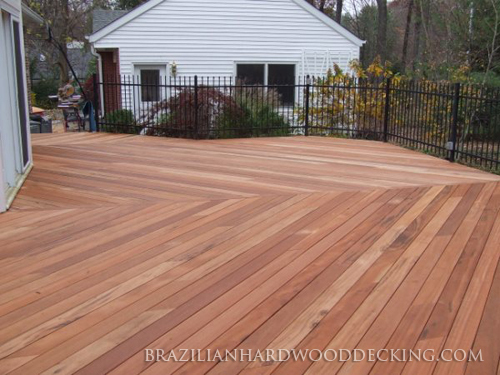 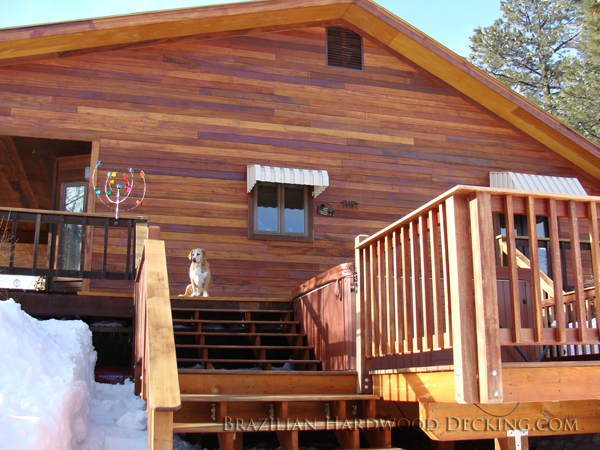 Each deck you see hear boasts the wood's natural orange and dark brown to black streaks. 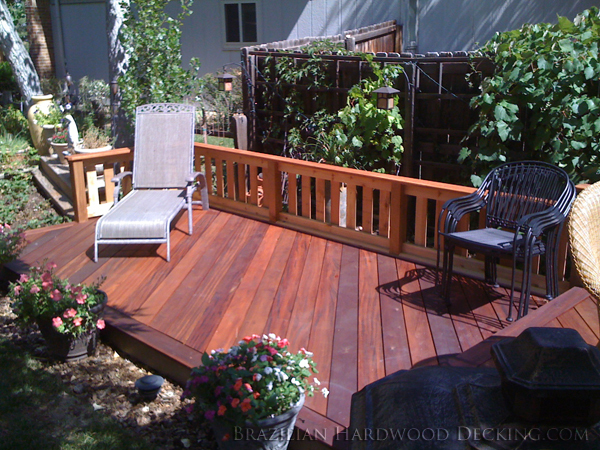 Moreover, each of these decks will be durable enough to be enjoyed for over 30 years without one single deck oil treatment.